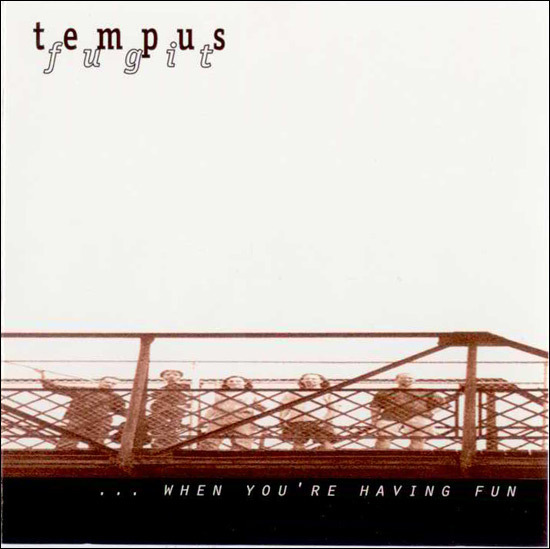 This is the official version of the album "...When You're Having Fun". It originally started out as a project to record a couple of songs; Black Rose, All Over Again and +Clover. We recorded the basic tracks for these songs over 4 days at Vyner Road Recording Studio with Rob Rotstein producing and Elliot Sairan and Dave Klotz engineering in August 1998. At some point we decided that we should do a whole album. Further recordings were held in October and December 1998. In total about 3 weeks of studio time was used to record the album. The album went through various incarnations including a toilet flushing prior to "Violation", The Rocket Robin Hood theme starting the album, The Rocket Robin Hood theme ending the album (after 42 seconds of silence at song 11), and Prufrock. Prufrock - later "The Release" was recorded and ready for the final album. The lyrics of the song were taken from "The Love Song Of J.Alfred Prufrock" by T.S.Eliot. 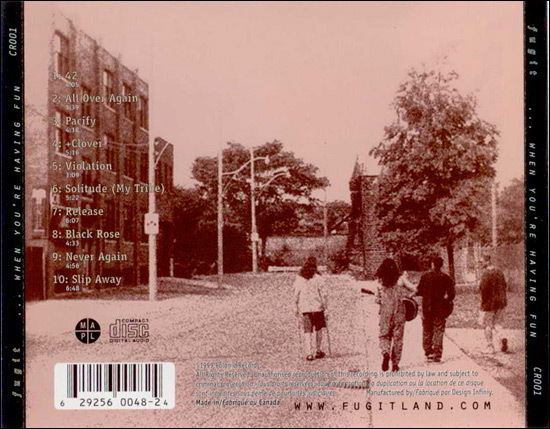 Without permission from the Eliot estate, some of the band members started to get cold feet about being sued and their parent's cottage being seized as assets in the litigation hearing. Ultimatetly after arguement number 957 we decided that the lyrics would be rewritten and rerecorded. A variation of the lyrics were written and the song was retitled "The Release" in honour of our original band name after the reformation in 1997. At least the song title as good. Considering that some of the original band names suggested were "Frohike", "Frumpy Dumper and the Happy Fun Bags" and "Dave's Colonic" it could have ended up worse. Ultimately some of the other vocals were also rerecorded including Violation (which no one had really noticed was sung out of tune), Solitude and Slip Away. The album was originally going to be mixed entirely at Phase One studios by Scott Lake but ultimately, due to costs, only Pacify, Violation and Slip Away were mixed. Part of those mixes were used on the album. This was during the Winter Storm on January 1 1999 (there was literally 4 feet of snow outside by the time we left on January 2). The final mixes were done by Rob and Eliot at Vyner Road from March through May 1999 and the final mastering was done at Metalworks Studios. None of the songs fade out. Jeff Gorman came suggested the title. Daniel Veidlinger - Keyboards, Second Bass on "42"
Meredith Halpern - Vocals on "42" and "Release"
Rob Rotstin - Additional Background Vocals on "42", "All Over Again" and "Black Rose"